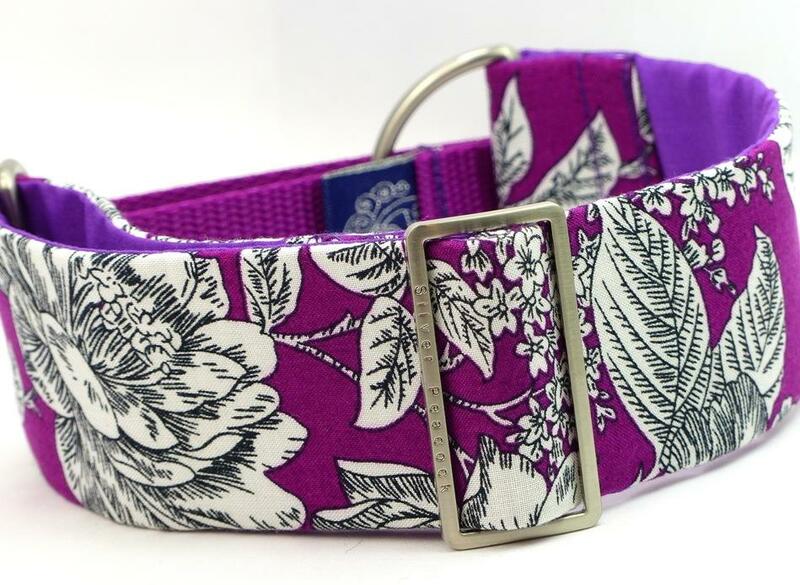 Ooh we so love this fabric! 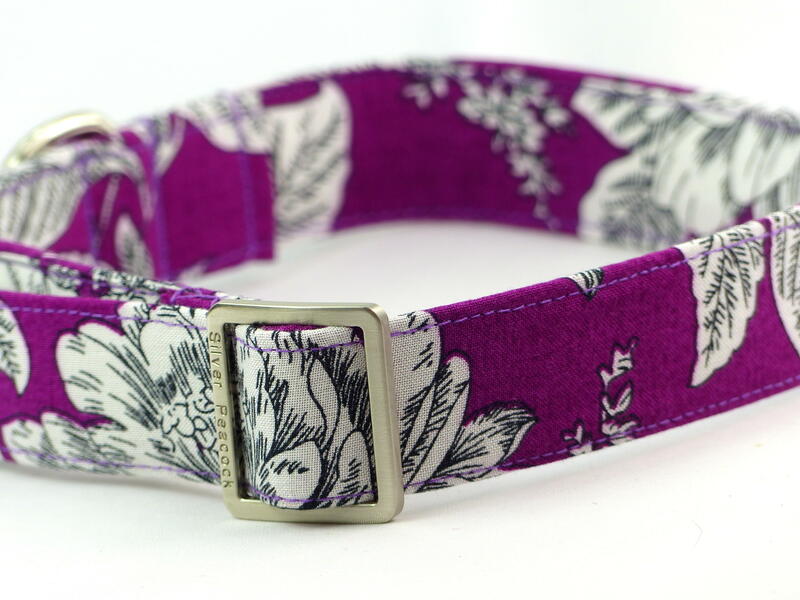 It's going to look particularly stunning on black girl hounds. 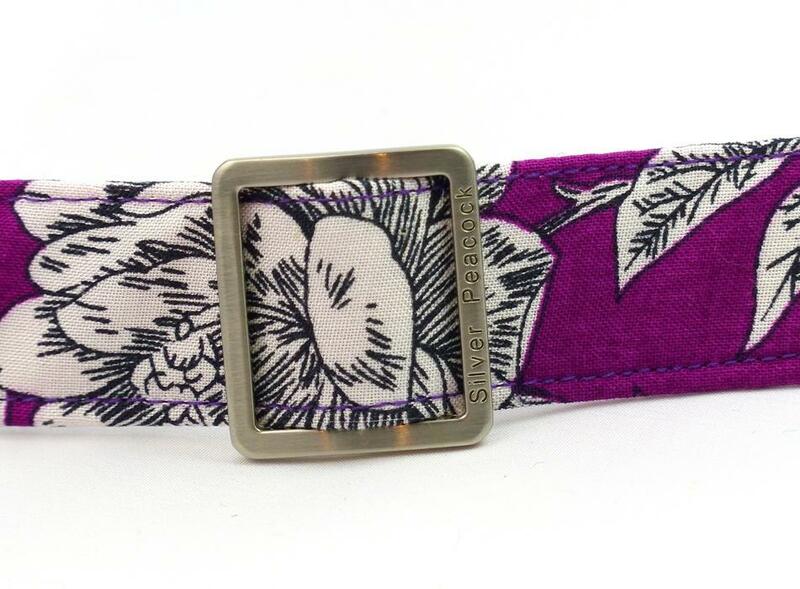 This soft jersey cotton is printed with an oversized botanical print of flowers and foliage in black and white on a background of rich berry purple. 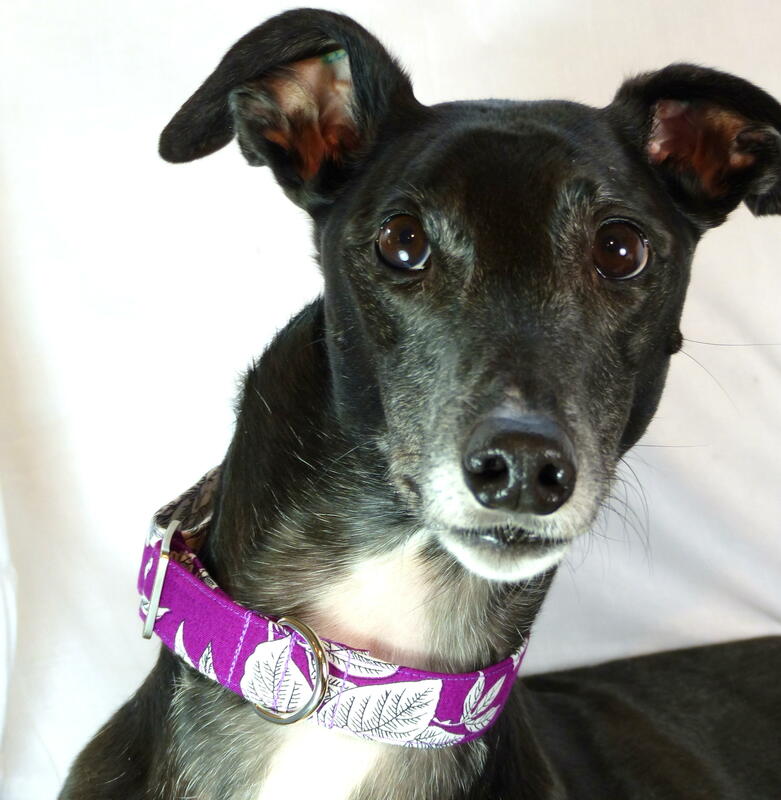 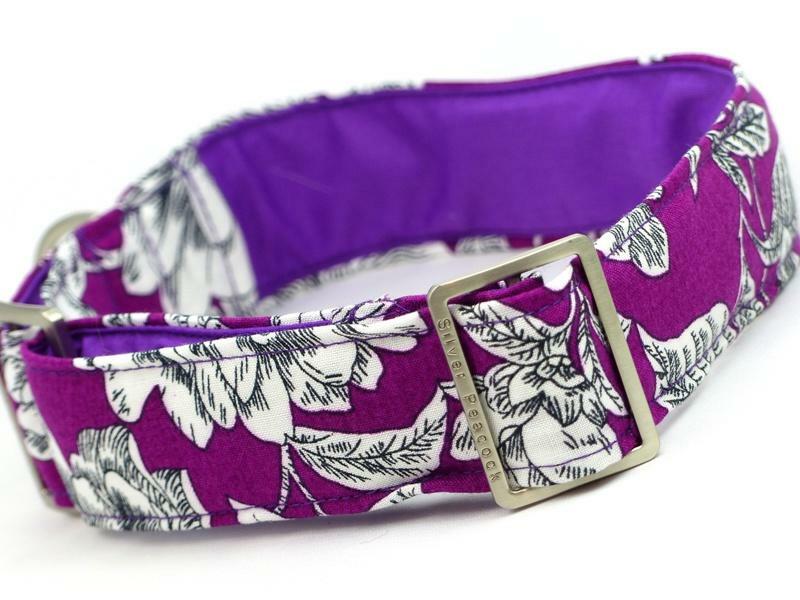 The collars are lined in co-ordinating light purple fabric and are finished with our signature robust silver coloured hardware.